Bowen Classic Arms offers a wide variety of front sight blades for popular Ruger, Smith & Wesson and Colt/USFA revolvers. Largely unavailable anywhere else, these parts will enable custom pistol-smiths and shooters alike to easily produce front sight installations that meet their specific requirements. 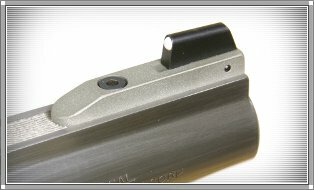 All too often, existing front sight blades are too short for proper sight regulation, especially with modern heavy-bullet hunting ammo. Others are invisible and can be improved upon with better shapes and styles and simply the crisp, sharp blades that only custom work can supply. These parts represent real savings in time and trouble to gunsmiths who would otherwise have to make such parts from scratch at considerable expense. Designed for standard, round barrel, this sight features a graceful, fluted base with a nicely shaped tang and is perfectly suited to adjustable-sight Ruger, Colt and similar single-action revolvers. Contoured for .700—.725 diameter barrels but is readily re-machined for other diameters. The extra-tall blank blade can shaped in a variety of heights and shapes, including patridge, Baughman ramp or standard serrated ramp. 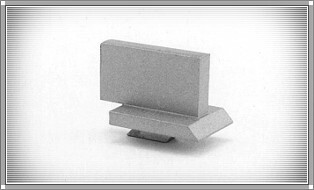 Made from low-carbon steel for ease of shaping, finishing and silver soldering (without hardening). A great way to upgrade barrel quality when making them from scratch or simply cutting a factory part. Installation by a skilled gunsmith required. 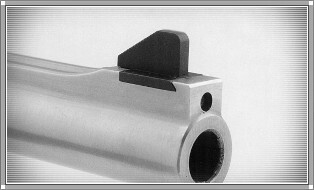 An invaluable part for situations where the original front sight cannot be readily removed and is too short, of the wrong shape, height or material. The old blade is simply milled away, a pocket machined in the existing base and the new blade pinned in with a roll pin. The installation is flexible, simple and extremely tough and is suited to a wide variety of both single and double-action revolvers. Bear in mind, however, that roll-pin blade retention is not a substitute for a proper interchangeable-blade system which should be engineered around screws or the S&W DX-type set-up. 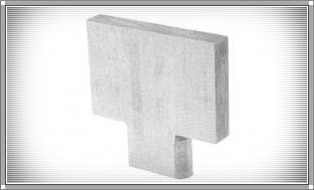 Repeated removal and re-installation can wear the pin holes in the base and blade which can lead to a loose fit. Plenty tall for regulation with heavy-bullet hunting ammunition. Made from low-carbon steel for ease of shaping, serrating and bluing. Installation by a skilled gunsmith required. 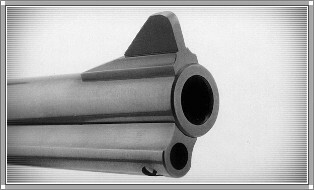 Factory-style replacement front sight blade for 2nd and 3rd Generation Colt SAA revolver. Unshaped and tall enough for all applications, barrel lengths and caliber. A real life-saver on a job where the original front sight has been cut or reshaped and needs replacement. These will also work on any vintage-style revolver, including Ruger Vaqueros and USFA SAAs, where barrels are to be shortened (blades are not suited to the original sight slots) or custom made. Made from low-carbon steel for ease of silver soldering, shaping and bluing. Installation by a skilled gunsmith required. More and more shooters are discovering the superior performance of contemporary high-performance, heavy-bullet ammunition. Redhawk shooters are also discovering their rear sights cannot be lowered enough to give proper sight regulation with such loads. 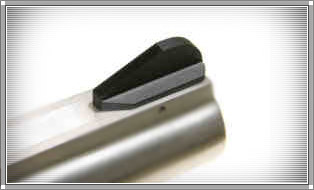 This serrated ramp sight is .060 taller than standard and will correct virtually any elevation problem on 5 ½ and 7 ½ in. Redhawks in all caliber. Indeed, in some cases, it may be best to shorten the blade slightly and re-blue it if the rear sight is overextended. Made from low-carbon steel, crisply machined and matted blued. Can be modified for use on Super Redhawks and GP-100s. Easy to install with simple hand tools. Same as our P403 sight but unshaped and unfinished. Can be readily modified to patridge, McGivern bead, white-line ramp and other shapes. Also fits the GP-100 and Super Redhawks. Easy to install but shaping and finishing requires a skilled gunsmith. 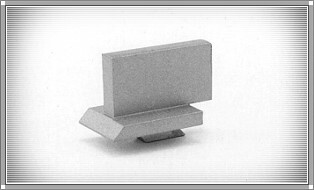 Similar to our Redhawk front sights but with the wider foot required for the single-action ‘Hunter‘ models. Readily modified to height and shape both center-fire and rim-fire variants. Blank form will shape into patridge, serrated ramp, McGivern bead, white-line ramp and many other blade styles. Can be narrowed to use on Redhawks and GP-100s. Easy to install but shaping and finishing requires a skilled gunsmith. 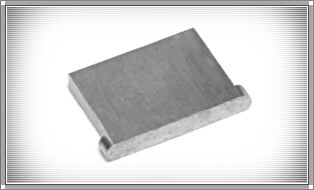 This blade blank is designed to replace pinned blades in both Ruger and Smith & Wesson bases to which blades are already pinned. Some very minor shaping and fitting may be required before the blade will seat in the existing slot. Once drilled and pinned in place, the extra-tall blades can be shot for regulation, if indicated, and shaped in a variety of styles, including patridge, serrated ramp, McGivern bead, white-line ramp, etc. Made from low-carbon steel for ease of shaping and bluing. Installation by a skilled gunsmith required. Designed for the new 4-in. factory Redhawks in both .44 Magnum and .45 Colt calibers. Replaces factory blade and is pinned into the original sight slot with no modifications necessary to the gun. Extra-tall blade can be shot for regulation, if indicated, and shaped in a variety of styles, including patridge, serrated ramp, McGivern bead, white-line ramp, etc. Made from low-carbon steel for ease of shaping and bluing. Installation by a skilled gunsmith required. Based on the Smith & Wesson factory DX sight, this base accommodates a variety of hand-detachable blades. It is designed to be installed on shortened standard Redhawk barrels but is readily adaptable to both the new 4-in standard Redhawk and the Super Redhawk 'Alaskan' model. Available in both blue and stainless. Comes with internal plunger/lock parts and screw. Without a doubt one of the most significant sight development in years, thanks to the enormous variety of blades available from Weigand Combat Handgun, SDM Fabrications, XS Sight Systems and others. Installation by a skilled gunsmith required. Please see the Weigand DX Installation Instructions for additional information. Designed to fit in any DX-style front sight base, this is our go to product for fabrication of custom sight blades for this type. The blade comes unshaped and is .350 in. tall. Installation by a skilled gunsmith required.